As the saying goes, “One man’s trash is another man’s treasure.” But can one man’s trash be turned into a thriving business? For Hugo Kohl, it did. 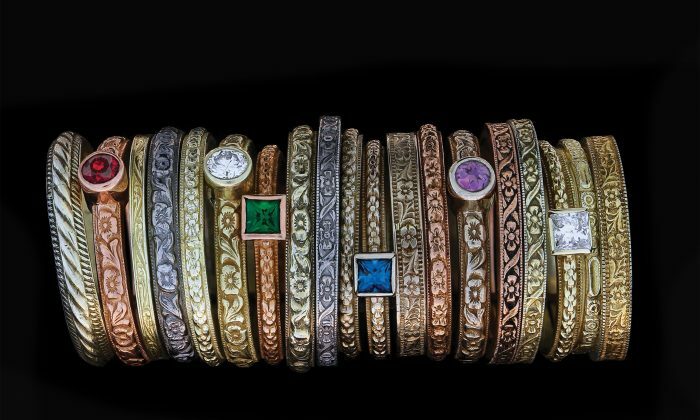 Kohl is the president and curator of the Museum of American Jewelry Design and Manufacturing in Harrisonburg, Virginia. 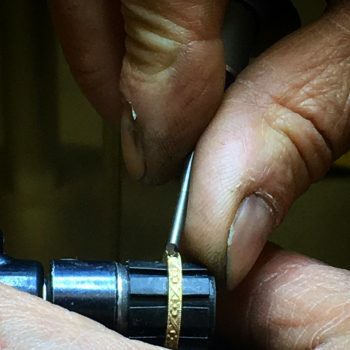 His serendipitous find on a vacation almost 25 years ago has revived a method of jewelry making long forgotten in the United States. 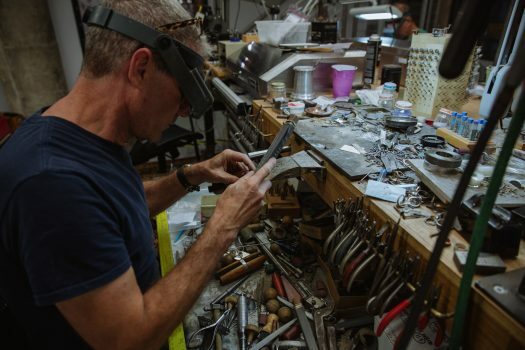 In the process, he’s amassed one of the largest collection of vintage American jewelry hubs, machines, and tools in the country. But the collection isn’t just to be looked at and admired from afar. 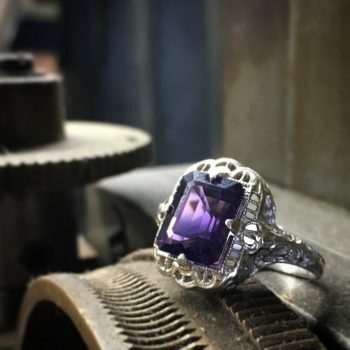 It’s all operational, allowing him to recreate beautiful vintage pieces exactly the way they were created during the Industrial Revolution. Kohl’s love of the arts started from birth. His mother was a prominent artist, and the days of his youth were spent by her side in the studio, art supplies in hand. Despite his pedigree and his early love for the arts, he earned a degree at James Madison University in finance and economics. 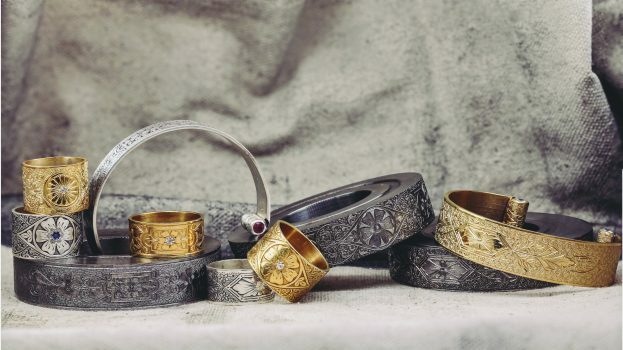 To keep his GPA up, he took several jewelry and metals classes, which piqued his interest in the industry. Following graduation, Kohl set out in the finance industry, determined to make use of his degree. He said he lasted about six weeks. 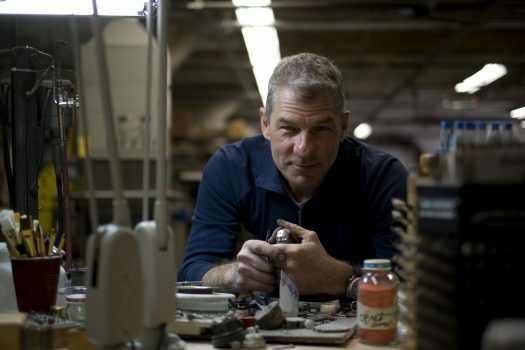 Kohl knew he was good with his hands and decided to put his jewelry classes to work by jumping into the jewelry business. He opened his own trade shop in 1991 and never looked back. In 1995, Kohl took his family on vacation to Providence, Rhode Island. He saw “jewelry district” on a hotel map and decided to take a trip by himself. 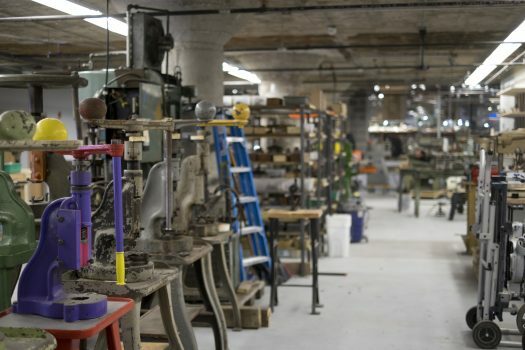 Providence was the jewelry-making capital of the world at the start of the Industrial Revolution, but when Kohl arrived, there wasn’t much left of the once-thriving industry. He wandered around the old warehouses and came upon a demolition crew. As the crew was loading a cabinet into a dump truck, the cabinet broke, scattering the contents. A piece rolled right up to Kohl’s feet. He knelt down to pick it up and was mesmerized. “Because I’d been in the arts my whole life, I knew these were great pieces of art,” Kohl said. The demolition crew picked up the boxes, loaded them back in the dump truck, and drove off. Kohl had no idea what the little pieces were, but something inside him couldn’t let these treasures be thrown away. He ran back to his car, sped down I-95, and caught up with the truck. He reached into his pocket and produced 10 $100 bills. He tore the bills in half and gave the driver one half, promising the other half if he could fish out the pieces he’d seen back at the warehouse. The driver obliged, and Kohl was able to salvage a few hundred pieces. It turned out to be the best $1,000 investment he had ever made. Today, Kohl still has those original pieces, but they are only a small part of his now immense collection. The pieces, he later found out, are called hubs. They are 3-D renderings of what a finished ring, buckle, or bracelet will look like. American artisans during the Industrial Revolution would carve the hub design directly into a piece of steel with a small chisel and a hammer. If they made a mistake, there was no Delete button. The artisan would have to grind the piece of steel flat and start all over again. For Kohl, it’s not just the pieces of metal they produced—and by proxy allow him to reproduce—but also what their work helped to shape. These rings, bracelets, and trinkets were the start of a societal shift for America. It was the introduction of the middle class, manufacturing, and symbolism. 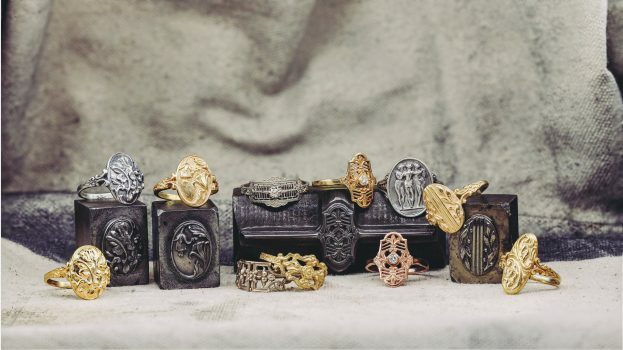 Kohl started collecting the hubs, and eventually he also began collecting the machines and tools used in die-struck jewelry production, a method that creates extremely durable pieces of jewelry. The machines were made long before electricity and are, in the truest sense of the word, man-powered. The drop hammer, for example, has to be lifted using a leather band and brute strength. 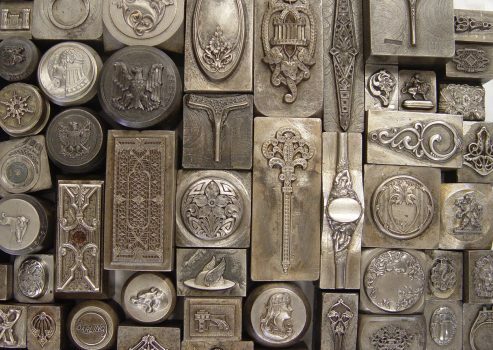 The screw presses have to be manually cranked to get the design pressed into the metal. 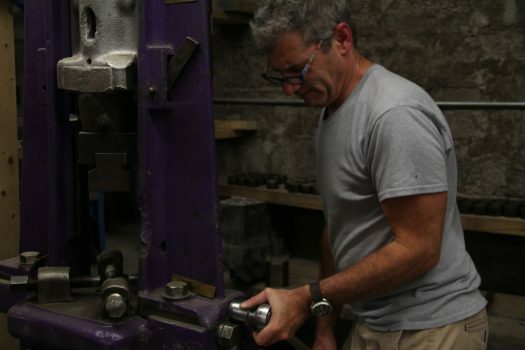 It’s a tough, physical job to create the pieces for his shop, but despite the hard work, Kohl truly loves taking these historical artifacts and making them useful again. When asked if he has an apprentice to help keep the tradition alive for another generation, Kohl said he doesn’t yet. If his 9-month-old son takes a liking to the trade, it’s an option. But Kohl is not ready to step away from the bench any time soon.